As a holistic approach to medicine and treatment, Acupuncture and TCM (traditional Chinese medicine) does not solely focus on the indicated problem, but the entire body and mind as an integrated health system. Acupuncture always focusses on the root state of the body organ system and energies, in respect of both health and disease, and not just the manifesting signs and symptoms. A couple's difficulty with conception may be due to internal functioning problems that western medicine cannot identify, but can be easily diagnosed and treated with TCM. The key organ networks associated with gynecology, fertility and conception are the Spleen, Liver, Kidney and Heart system energies which are susceptible to dysfunction due to a variety of internal and external factors. As the body is an integrated network of energies, the organs are also interrelated and interdependent, just like the fundamental concept of Yin and Yang upon which TCM is based. As treatment is aimed at the root cause of the condition, of which numerours differences will be found in each individual, we bring the body back to a state of perfect health, that is, "perfect" as it was meant to function by design. 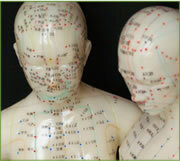 How can Acupuncture and TCM help you? The above-mentioned conditions are only a guide for what acupuncture can help. At the Hong Tao Clinic, a thorough assessment of each case is given at the first consultation prior to treatment.